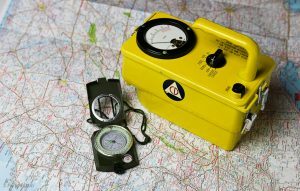 WHY DON’T WE HAVE A CIVIL DEFENSE STRATEGY FOR NUCLEAR ATTACKS? With nuclear buttons on more and more desks these days, one thing that’s clear is that the future is anything but. With trials, tribulations, and rogue nations all about, even the U.S. Centers for Disease Control and Prevention (CDC) is concerned about preparedness in the face of a nuclear threat. As such, the CDC is planning a teaching session about nuclear war after officials took part in radiation drills last Spring. This time, they are planning to target medical professionals, including veterinarians, and the local agencies that would lead immediate responses to a nuclear event. The Jan. 16 event, titled “Public Health Response to a Nuclear Detonation“, is thought by many to be in response to recent saber-rattling by North Korea and other countries with interests in the region (including the US). The classic image of a nuclear attack is the detonation of a nuclear bomb on a heavily populated city, as was done to Japanese cities during World War II. The age of long-range bombers approaching a country’s air space with intents to drop the Big One may be over, but nuclear submarines and container ships have the capability to launch missiles with much shorter notice. In addition to the classic image of cities demolished by nuclear explosions, there is the possibility of an electromagnetic pulse event (EMP) caused by a nuclear detonation high up in the atmosphere. This wouldn’t cause massive devastation (at first), but could knock out the electrical grid we depend on for just about everything. In short order, the citizens would be causing the massive devastation as food becomes unavailable and the rule of law collapses. Stay in place or hit the road? You might consider a nuclear attack to be hazardous to your health. Indeed, if anywhere near ground zero, you’re probably right. However, a suburbanite’s chances of surviving a blast that hits downtown might be better than you think. 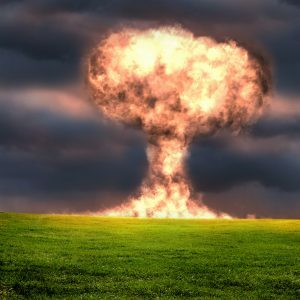 In Shane Connor’s excellent article “The Good News About Nuclear Destruction”, he says that the vast majority of families will survive, especially if they makes some basic preparations before the event. 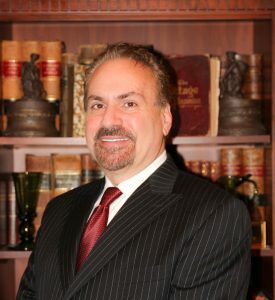 In his article, he takes 2004 Department of Homeland Security (DHS) calculations using a 10 kiloton bomb detonation at ground level in Washington, D.C. The DHS estimates 15000 immediate deaths from those close to ground zero, and another 15000 from explosion and thermal effects and massive radiation exposure. While this seems like a lot of deaths, it only represents 1% of the city’s population. Of course, the rest of the city (hundreds of thousands) would be at risk from radioactive fallout. You may have seen old films showing children hiding under school desks to escape the wrath of a nuclear explosion. Like me, you may have found these “Duck and Cover” films quaint (and perhaps silly) to think that you can survive a blast by just getting down and covering yourself with, in this case, some wood and metal. Yet, placing a shield between you and the effects of the detonation is the basis for the “bomb shelter”. Although “Duck and Cover” won’t prevent incineration for those very close to ground zero, it can prevent severe injuries from broken glass. 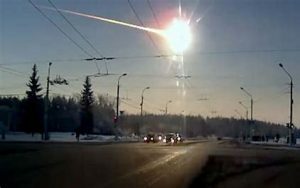 In the Chelyabinsk meteor explosion incident in 2013, 1500 people suffered from lacerations due to flying glass from the shock wave. If those people had hit the deck as soon as they heard the meteor explode instead of going to the window to have a look, much fewer casualties would have been recorded. In the DHS’s Washington, D.C. scenario, hundreds of thousands were at risk for radiation sickness. Yet, fallout drops 99% by 48 hours after a blast. If citizens would just remain inside or, better, in a planned-out bomb shelter, the chances for survival are much greater. Having four walls and a roof is helpful, but more can be done to enhance the protective effects of a shelter, both against radiation and blast effects. The more material that you can use to separate yourself from fallout, the less likely you’ll suffer ill effects. Barrier effectiveness is measured as “halving thickness”. This is the thickness of a particular shield material that will reduce gamma radiation (the most dangerous kind) by one half. When you multiply the halving thickness, you multiply your protection. For example, the halving thickness of concrete is 2.4 inches or 6 centimeters. A barrier of 2.4 inches of concrete will drop radiation exposure by one half. Doubling the thickness of the barrier again (4.8 inches of concrete) drops it to one fourth (1/2 x 1/2) and tripling it (7.2 inches) will drop it to one eighth (1/2 x 1/2 x 1/2), etc. You’re shooting for ten halving thicknesses (24 inches of concrete), which would drop the total radiation exposure to 1/1024th that of being out in the open. By looking at the list above, you can see 1 centimeter of lead gives the same radiation protection as 6 centimeters of concrete. 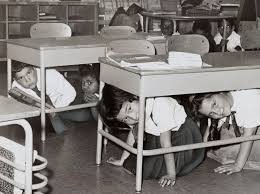 You might consider the 1950’s “Duck and Cover” to be pretty anemic as a civil defense measure, but it’s more than is practiced today with regards to preparing people for nuclear attacks. So little emphasis is placed on this kind of preparedness that few citizens have even thought about it, or even understand the term. Civil defense is the organized effort to protect the citizens of a state from military attack. We don’t even have a nuclear civil defense agency, as it is now the purview of the Department of Homeland Security. Lately, “civil defense” efforts have instead been targeting natural disasters like hurricanes, floods, and the like. We certainly need to plan for natural disasters, which will occur much more commonly in the future than nuclear explosions (I hope). Utilities are considering what to do about rogue squirrels more than they are considering rogue nations. We need, however, to put together a national plan for nuclear attacks that don’t just include the protection of high-level government officials. We need to formulate a strategy that will give the average citizen the best chance of surviving the aftermath as well. Despite the risks, we are doing less today to counter the consequences of nuclear attacks than before, especially when it comes to EMPs. 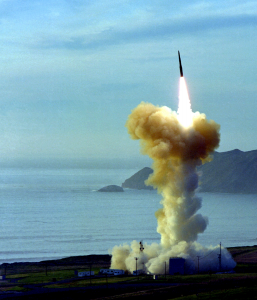 The Department of Defense recently allowed the funding for the national EMP commission, headed by Dr. William Graham and Dr. Peter Pry, to lapse. This effectively disbanded the only body that was responsible for advising the government on how to protect the populace against nuclear electromagnetic pulse attacks. There’s still time to harden the grid and encourage Americans to put together a plan of action in case of nuclear attack. Hostile actions by the world’s bad actors can easily hit home, and every citizen is at risk. If we put together a national strategy to cope with the consequences, we’ll be better prepared to deal with whatever challenges face us in the uncertain future. 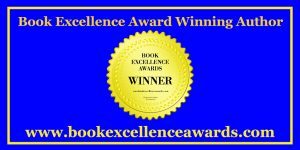 Find out more about nuclear events and 150 other topics in the 2017 Book Excellence Award winner in medicine “The Survival Medicine Handbook: The Essential Guide For When Medical Help Is Not On The Way”.